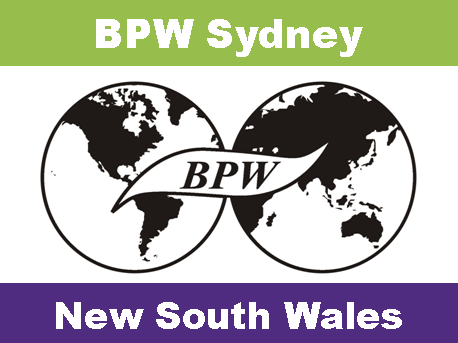 BPW Sydney is the longest running Business and Professional Women's Club in Australia, having been established on 17 July 1939. BPW Sydney is an active lobby group and we take full advantage of our NGO status to lobby government and corporate organisations on matters related to business and professional women, including for more women in leadership and decision-making roles. If you would like to join with other professional and business women to advance a progressive social justice agenda focused on women’s empowerment issues related to: economic empowerment for women and women in leadership and decision-making roles, contact us. As part of BPW Australia, the BPW Sydney club practically addresses issues facing women in the world of work. We're also interested in developing campaign-matched education and potentially, training events. We provide social support and networking, and give you a way to meet people who are also interested in social issues. We also facilitate access to the scholarships, awards, conferences and discounts on offer with BPW Australia. Contact us to find out more of our next event. Daughter, wife, mom, friend, Mexican, Australian to be, and Mechanical Engineer with a background in manufacturing. Recently came back to the workforce at UTS and is currently rediscovering and loving her inner professional. Looking forward to continuing the journey. Crossed paths with BPW when moving to Australia thanks to Dr. Yasmin Darwich and decided this organization had much to bring into her professional and personal life. Understood that interesting and strong-minded women can set a high ground and motivate you to be a better you; that everything is possible if you make it happen. Miriam is looking forward to making a difference and starting to write a new story with all BPW Sydney members. Not only excited, but thankful for the opportunity to be appointed BPW Sydney’s President. If you're a woman who wants to build your professional network, meet lively, interesting women and champion the right of women to participate at all levels in the world of work, then join us at Business & Professional Women (BPW) Sydney, BPW Australia's oldest club and part of the global women's network.